Gone are the days of checking several sites like Orbitz, Expedia and Priceline and comparing travel deals. There are apps that can check all three and many other sites for the best deals in flights, hotels, car rentals and more. Get alerts on your phone on flight status and delays before you get to the airport. Even get airport security wait times. No more printing boarding passes or carrying travel wallets stuffed with itineraries and tickets, your phone is all you need to check in and board your plane. Glance at the airport directory and map on your phone to find your gate and the nearest duty-free store to pick up a last minute gift. This is air travel in 2013 thanks to apps. When you reach your destination you’ll know exactly where to find great food, entertainment and the real price of cab fare, even if you’re in a city you’ve never been before. Calculate currencies and translate words and phrases without paper guidebooks and dictionaries. 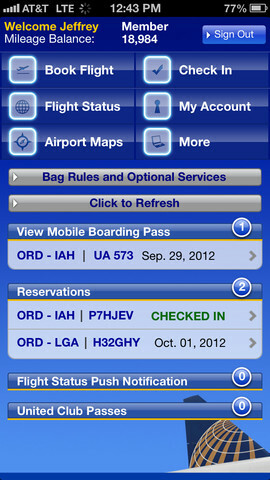 We highlight a number of great apps in our travel apps section, including a number of flight tracking and booking apps. However, the best flying apps may be the ones offered by your airline. 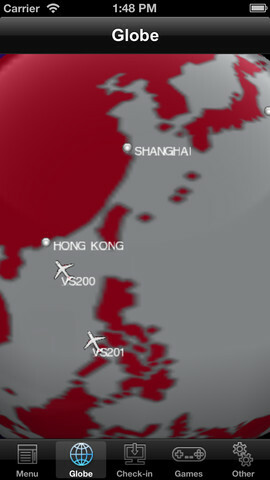 It is well worth downloading apps provided by any airline you regularly fly. Nearly all major carriers around the world have their own app that offer useful features such as flight details and updates, quick check-in, mobile boarding passes, seat selection, detailed account information, and many more depending on the airline. Major airlines continually add new features to their apps, like luggage monitoring and helping you find the lounge in any airport. Inflight entertainment features are prominent in airline apps, ranging from games to music to information and video on what you’re flying over. These may not be the best travel apps, but an app by an airline you’re flying may be your only choice for mobile boarding passes, online self-service and other personalized features. Even if you rely on FlightTrack or GateGuru, chances are that you’ll use at least one airline app regularly.